In 1988, Lois Flurkey died from a heart attack at the age of 50. She had been under the care of E. Denis Wilson of Longwood, Florida, a doctor at a weight loss clinic. After her death, Flurkey’s daughters filed a medical malpractice complaint. The case eventually settled out of court for $275,000, without Dr. Wilson admitting wrongdoing. At the center of the complaint was a controversial treatment that Dr. Wilson had pioneered, based on a controversial diagnosis. This is the story of Wilson’s Temperature Syndrome, also known as Wilson’s Thyroid Syndrome, and its implications for medical malpractice law. Dr. Wilson came up with the hypothesis that many different symptoms, including everything from weight gain and lack of energy to hair loss and low libido, could be attributed to the body’s inability to convert one thyroid hormone, T4, into another, T3. He attributed the alleged thyroid disturbance and its many symptoms, some of them quite subjective and nonspecific, to a syndrome which he named after himself, calling it Wilson’s Thyroid Syndrome or Wilson’s Temperature Syndrome. He treated the disease by prescribing T3. Even before any of his patients got sick from the treatment, Wilson’s Temperature Syndrome attracted controversy among endocrinologists, the doctors who usually treat thyroid disorders. For one thing, Dr. Wilson was not a board-certified endocrinologist. He had only completed one year of residency, which was in family medicine. To become board-certified in endocrinology, a doctor must complete at least four years of residency, several of which deal specifically with endocrinology, and then take the board exams. Second, he did not publish his research on the alleged T3 deficiency in peer reviewed journals. The type of research necessary for a peer-reviewed study requires substantial funding and is beyond the budget of most private practice physicians. Instead, Dr. Wilson marketed a book directly to patients, and patients began to come to him seeking treatment for obesity and other symptoms he attributed to Wilson’s Temperature Syndrome. Another red flag was that the patients who came to him for treatment had blood tests for thyroid function and had their temperatures taken. They showed body temperatures and thyroid hormone levels that were within normal range. It is fairly common for doctors to prescribe medicines for reasons other than the drug’s original intended use and for treatments that are still considered experimental to be fairly widespread. For example, dermatologists sometimes prescribe hormonal contraceptives as an acne treatment, and some doctors use Botox injections to treat migraines. The “right to try” doctrine, which allows patients to try off-the-beaten-path therapies when the usual treatments have not worked for them, originated with terminally ill HIV patients, but now it is generally accepted that all patients have the right to make informed decisions about their medical care, even when it involves controversial treatments. When Flurkey died, Dr. Wilson was quick to produce papers she signed acknowledging the risks of taking T3 at higher doses than what endocrinologists normally prescribe. The issue was whether Dr. Wilson behaved irresponsibly in continuing to prescribe Flurkey such high doses of T3 even after she began to show signs of hyperthyroidism. Medical treatments do not always have the desired outcome, no matter how routine or experimental they are. 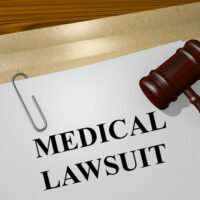 Contact Bundza & Rodriguez in Daytona Beach, Florida if you have become ill after an experimental medical treatment and think that a physician’s negligence played a role in it.